Who knows what will be around the next corner? A ghoulish ghost? A terrifying vampire? Make this Halloween the scariest it can be by throwing a party at your bar, club, restaurant or house! 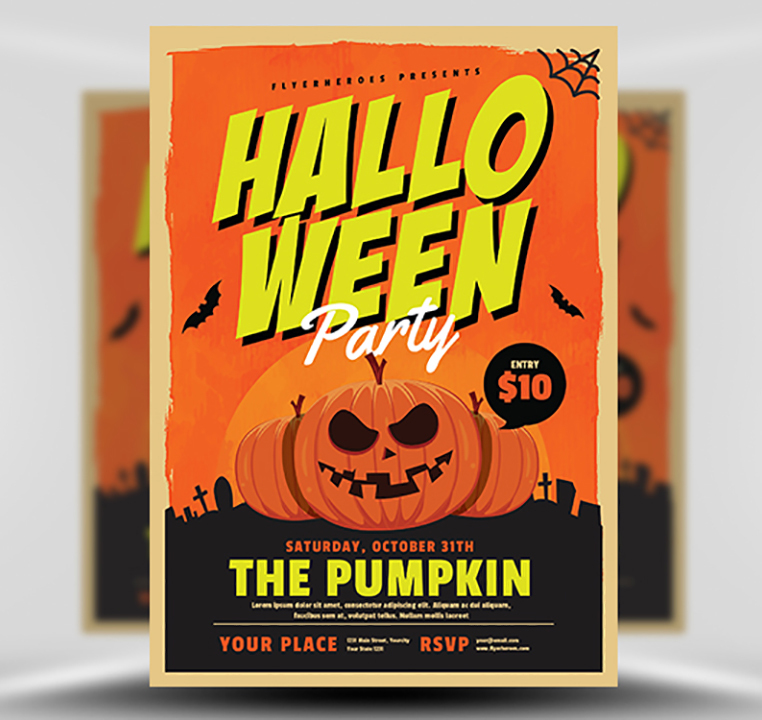 Promote your event the best way possible with the The Pumpkin Halloween Party Flyer Template from FlyerHeroes. 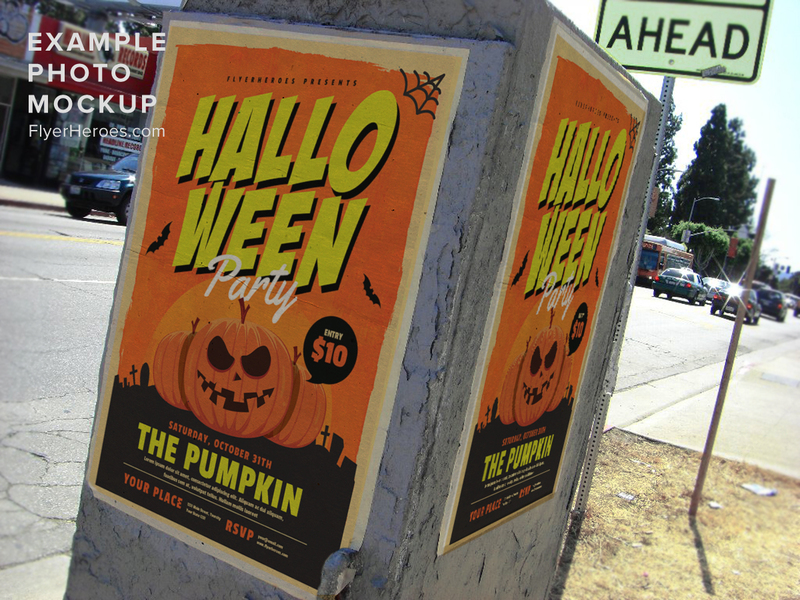 This flyer was expertly designed by our team to be scary, fun, and effective. The black night sky background and cool, dark blue colors make an incredible clash of color and contrast to the pumpkin and typography in the foreground. The classic imagery of Halloween is also present with bats, ghosts and gravestones. This flyer will capture the imagination of children and adults alike. 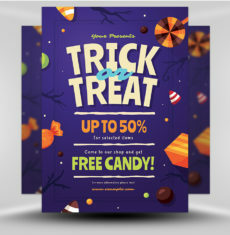 With our professional organized layers and high-quality images, along with completely customizable typography, you can add your own personality and flair to this flyer quickly and easily! Add the date, the time, the location, and anything your guests may need to know to attend your event. 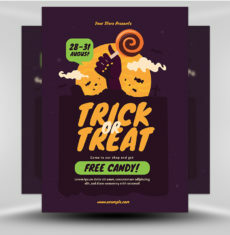 Your party is going to be the most memorable event of the year and it’s all thanks to The Pumpkin Halloween Party Flyer Template from FlyerHeroes! Like a big bowl of candy, it’s all about the variety here at FlyerHeroes. We’ve got countless flyers for every kind of event, so just search a keyword in the search bar above and you’re bound to find the perfect flyer for you. The Toon Halloween Kids Party Flyer Template is downright adorable. 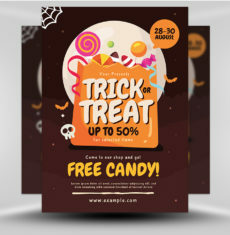 For the adults, the Black and Gold Halloween Flyer Template will certainly capture attention. 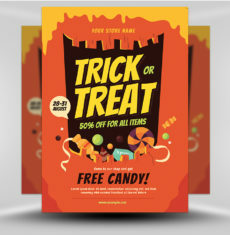 Pair up multiple flyers for maximum exposure and a more effective marketing campaign! 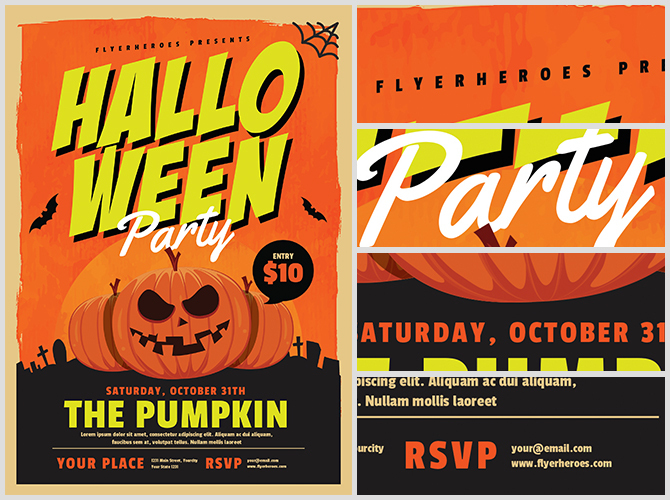 The Pumpkin Halloween Party Flyer Template is available right now from the pros at FlyerHeroes, so get yours today! 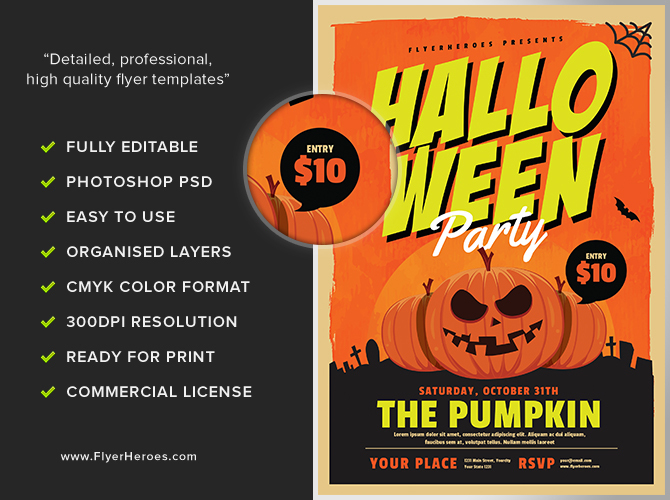 The Pumpkin Halloween Party is a premium Photoshop PSD flyer / poster template designed by FlyerHeroes to be used with Photoshop CS4 and higher.